A group of 20 Greater Chattanooga Association of Realtors members traveled to Washington, D.C., this month to lobby members of Congress on behalf of their local constituents. The annual legislative forum is hosted by the National Association of Realtors and drew nearly 10,000 members from every state and province. The Greater Chattanooga Association territory is unique as it has counties in two states. In addition to Hamilton and Sequatchie counties in Tennessee, the association also serves Catoosa, Walker and Dade counties in Georgia. For this reason, local members visited almost twice the number of senators and congressman as other associations. Local members joined other Tennessee Realtors to meet with Sens. Bob Corker and Lamar Alexander, as well as with Congressman Chuck Fleischmann. GCAR member Randy Durham led the discussions with Corker, and Lois Killebrew led discussions with Fleishman as members joined in. Georgia Sen. David Purdue booked an hour to meet with constituents in what is a weekly occurrence known as Donuts with David. Congressman Tom Graves met with Realtor members of GCAR as well as other North Georgia Relators from adjoining associations. With tax reform being high on the current administration’s agenda, it made it to the top of the talking points for Realtors. The Mortgage Interest Tax deduction is a core value of home ownership and members from across the nation stressed the importance of this item surviving what will be a difficult negotiation process. NAR economists estimate that overall property values will decline by 10 percent nationally if this is not preserved. As a point of reference, local home prices declined by approximately 10 percent during the Great Recession beginning in 2008. A second item of discussion was the upcoming expiration of the National Flood Insurance program. 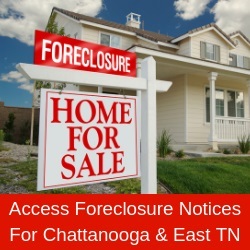 This program was allowed to expire in 2010 and wreaked havoc on real estate markets both locally and across the country. Again, local members stressed the importance of renewal or extension of the current program before it expires on Sept. 30, 2017. Corker said this is a work in process and that he feels a solution will be found. He continued that if a final plan was not in place by 9/30, a short extension could keep homeowners covered. With the ongoing discussion about potential restructuring of GSEs (Government-Sponsored Enterprises), this topic made the list of concerns which were addressed with elected officials. Best known as Fannie Mae and Freddie Mac, these two entities hold or pool approximately $5 trillion dollars in residential mortgages. Realtors expressed the need for continued government involvement in the lending process to ensure the continued flow of credit to drive home sales and preserve the opportunity for all Americans to have access to affordable loans. This week of travel and meetings underscore the commitment that local Realtors have to our community. Realtors are much more than sales people in a real estate transaction; we are focused on protecting and promoting the American Dream of home ownership!